Data mining and analytic is one of the hottest topics in the market, and I have the fortune to work in this sector. Descriptive is describing the past, what has happened and why, and also describing known facts. This is used in all reports, showing how jour stock portfolio has changed etc. Predictive is describing the future based on what has happened in the past, this has been used for many years in marketing, with various statistical approaches. We use it all to predict if we have money left at the end of the month. Prescriptive is using descriptive and predictive information complemented with deviations to find alternatives, what if scenarios to find the best alternative. Most modern GPS systems like my car navigation GPS uses prescriptive analytic. 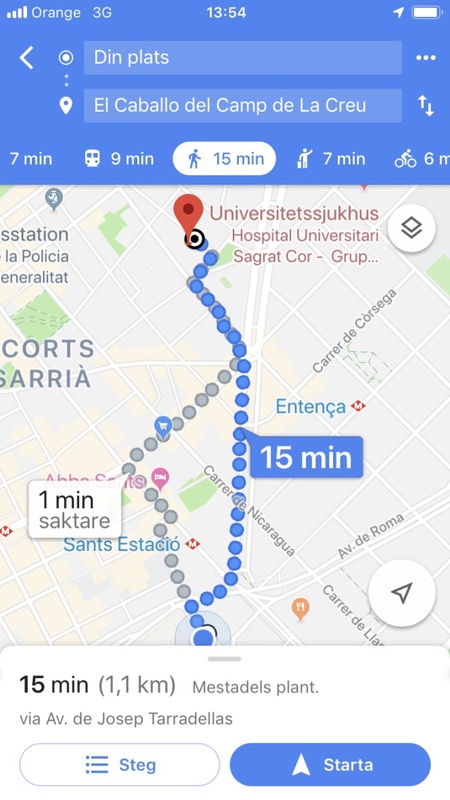 One way to see this is from an analyticals perspective is that descriptive perspective in the GPS tells us where we are going, … turn left in 200 m , then drive for 1km and … etc. Predictive perspective in the GPS is forecasting when we will arrive based on our historical behaviour, if I am driving 10 km below speed limit the GPS will recalculate and give you a new prediction of when you will arrive. The modern GPS is using prescriptive analytics by using information received from traffic systems etc. together with the descriptive information and predictive information to calculate options, based on your current speed will you be affected by the traffic jam ahead, if so what alternative routes can I find that avoids this traffic jam to secure that I get to my destination as soon as possible. Another good feature of the GPS is that if you take your own decision and deviate from the suggested route the GPS is planning based on what you do to continuously offer you the best route to your destination based on the new facts. Know your customers is key knowledge in business today and the customers can always be grouped into multiple categories where each category has common behaviour that you can use as one parameter in your analytical use cases together with the individual specific actions. For example in my sector we want to avoid that our customers churn, so we need to monitor our customers behaviour and we must know what patterns we shall look for that is indicating that the customer will churn if we do not take any actions, this is done with descriptive and prescriptive analytics, but we want to convince the customer to not churn, so we need to use prescriptive analytics to find the different alternative we can offer the customer and in which order we should do the officering in other words, we need to plot the different routes in a similar way as the GPS is doing this and offer the best route for the customer and us, this could be 0,5 less interest rate, if the customer do not take this we might have an alternative offering. Know your customer and prescriptive analytics, you can plot the alternative routes for a person based on the different categories the person belongs to, like if the customer is single and between 20-30 it is likely that the customer will get a kid in the next coming 5 years (the age also is different if you are female or male) and you can do suggestions based on this both short term and long term actions in a form that the customer feels is attractive. When I was 19 and meet with the bank clerk I got boring suggestions, you must save to your pension etc etc. that was not what I was interested in, if the bank clerk knew that I wanted to go the Maldives for diving they could have proposed something that appealed me, like if you invest in this stock portfolio that has rather high risk and if you are willing to be active together with our continuous automatic analytic guidance you might be able to get enough money in 20 month for the founding of this trip, I had started the saving. If you are successful using prescriptive analytics throughout your company you really have a competitive edge as you continuously plan the customers journey and you adopt based on what they do. Seeing indications and act on them, if I start saving more money than before, I have changed my behaviour if the clerk calls me up and try to assist by gathering some more information she/he feeds into the system, we can in real-time do prescriptive analytics to suggest the different routes to the customers goal, this can off course be done via chatbots, questions in the online channels etc to offer a nice interaction for the customer. 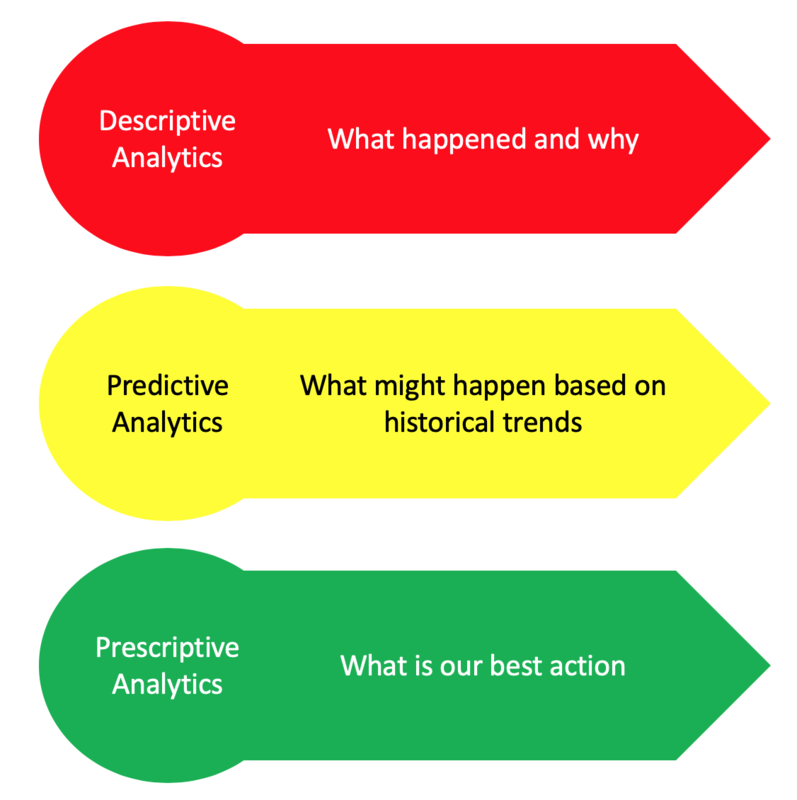 I hope you got an ideas of what prescriptive analytics is and I hope the example with GPS gave you an understanding of the different analytics categories.